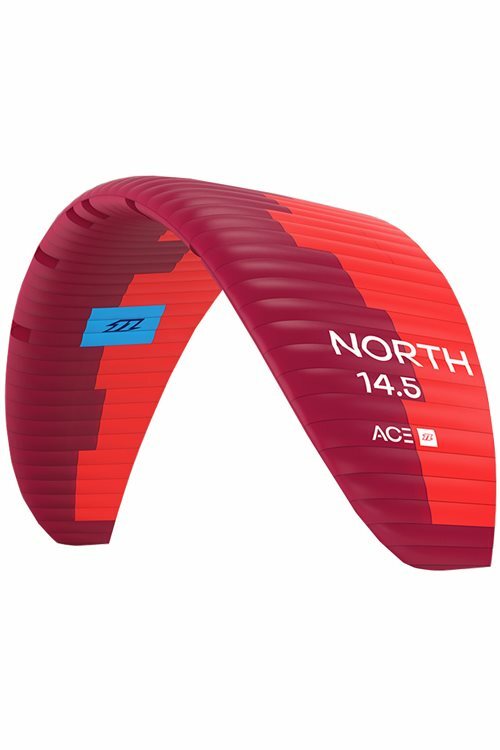 The ACE is a new light wind foil kite for intermediate to advanced riders who value performance above all else. Developed alongside some of the best hydrofoil racers in the world the kite offers some unique characteristics. The ACE is extremely lightweight and uses some unique and exceedingly durable materials. It has a huge wind range with massive depower and offers unrivalled hangtime; it can be ridden with a twin tip for freeride riding or with a hydrofoil for both racing and freeriding. It provides immense amounts of lift, making foiling, tacks, gybes and tricks easy. The pure foil sensation. 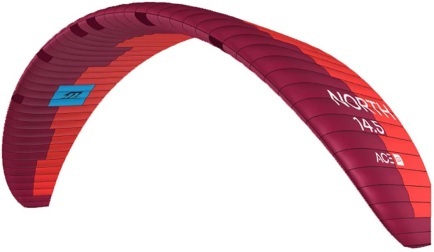 The ACE kite is produced in cooperation with Advance (www.advance.ch), who is the market leader in paragliding. The chief developer Kari Eisenhut, who is responsible for the development of the North Kiteboarding ACE kite, is a passionate kitesurfer who is into foiling himself since the very beginning. The ACE kite has been developed preferably for foil kiting for experienced and advanced kitesurfer who have already got in touch with foiling. For a reactive bar feeling the recommended line length is 18m. For getting started the recommended line length is 24m as it facilitates the kite handling. Had a short land session with the 11.5 North Ace. During the first impression it took some effort to launch the Ace. After a few try outs we noticed that tension on the steering lines helps to launch the Ace properly. If the kite is filled up you have a fast steering kite in your hands. A bit different than the other foils, like you have to tame this horse for a good ride. This is the first serie and the kite feels raw. Some of my co-pilots liked that because all the other foils are smoothing out. I believe, the diamond need a bit of polish.